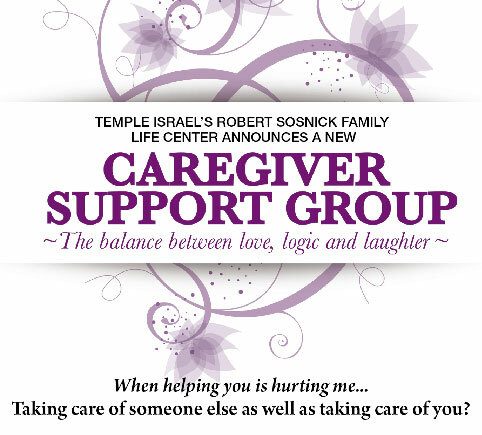 The Robert Sosnick Family Life Center of Temple Israel provides Temple members and families with the necessary resources to meet life’s challenges. We help individuals and families through crisis intervention, short-term counseling and problem-solving so that families can get the support they need and deserve. Please look through our list of loving support groups. For more information, email Kari K. Provizer, LMSW, ACSW at or call 248-661-5700. For more information about any of these programs, or to register for meetings or events, visit the calendar page. Alcoholics Anonymous is an international fellowship of men and women who have a drinking problem, or who have struggled with addiction to alcohol in the past. Temple Israel’s AA group meets weekly on Thursday evenings. Our group provides a positive, healing environment for those who are grieving. 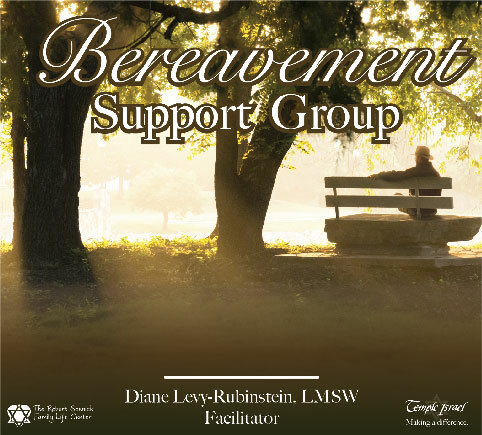 The Bereavement Support Group is led by a trained professional who offers compassion and confidentiality. All sessions are open to the community and free of charge. Please call Temple to verify meeting dates and times. Cancer Support group provides a spiritual, therapeutic support group for Jewish cancer patients, survivors, and their family members. A key component of this support group is the exploration of how religious beliefs and practices help patients and their families better cope with all aspects of the cancer experience. Check back soon for more details. Give yourself a respite in a supportive environment. 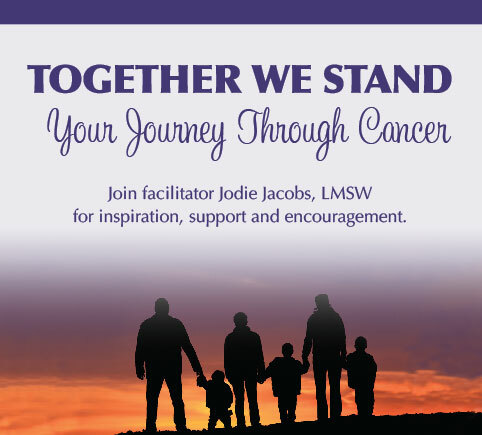 Join facilitator, Jodie Jacobs, LMSW, with a private practice in West Bloomfield. Sharing one’s experience within a group setting enables caregivers to recognize the commonality of their experience while also defining the uniqueness of their situation. The group is led by a trained professional who offers confidentiality, warmth and a place to come and share. Meeting on the first and third Thursday of each month. 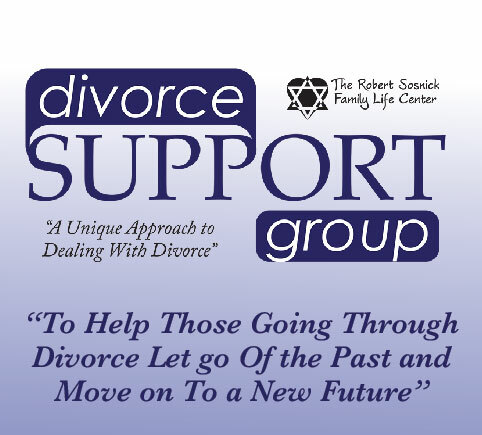 Our divorce support group offers a unique approach to dealing with divorce. Our focus is about letting go of the past to move forward into a new future. Dates will be determined upon full registration. 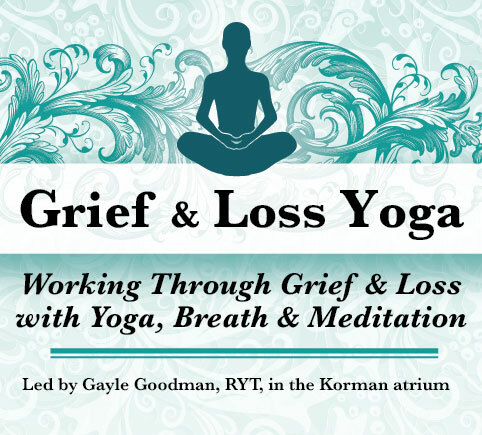 Working through grief and loss with yoga, breath and meditation. A therapeutic way to grieve any type of loss, this class provides support in a healing environment. Open to the community at no charge. Bring a yoga mat and dress comfortably. 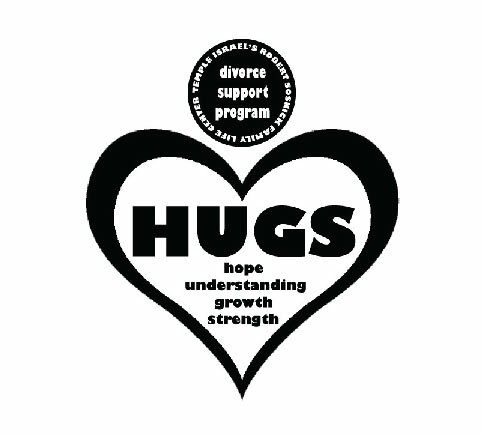 This is a 4-week divorce support program for kids ages 5-17. This program will help children develop the skills they need to better cope with their parents' divorce. Children will be divided into age-appropriate groups and a separate group for parents will meet at the same time. Dates will be determined upon full registration. Please join us for this wonderful and insightful morning where we will learn what mindfulness is, discuss its qualities and applications, and learn a brief mindfulness practice or two. 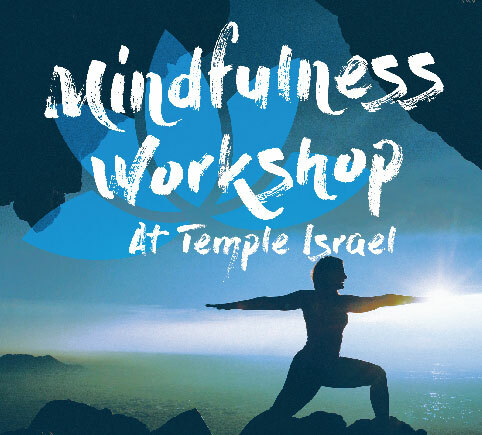 We will discuss how to integrate mindfulness to improve coping and well being, focusing on how mindful approaches can help us to manage stress. This group is designed for those with Multiple Sclerosis (MS) as well as family members and/or caregivers.The MS PATH (Positive Attitude Toward Health) meets on the 2nd and 4th Thursday of every month from 7-9 pm in Classroom 11. A support group takes place on the 2nd Thursday, often featuring a guest speaker on the 4th Thursday. 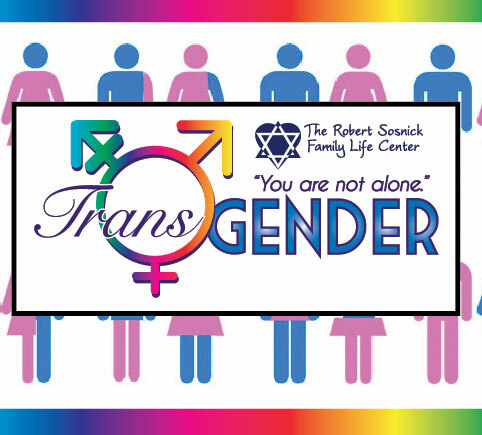 Temple Israel’s Robert Sosnick Family Life Center needs your help this Chanukah! As part of our commitment to “No Temple Family Without a Chanukah,” we are in need of volunteers and donors to be a “Shamas” or “Chanukah Helper” (a Shamas is the candle used to light all other candles in the menorah). Donate online here (or write a check to Temple Israel c/o "No Temple Family Without a Chanukah"). All donations truly “Make a Difference”. For additional information or to volunteer, contact Kate Boman in Temple Israel’s Robert Sosnick Family Life Center or call 248-661-5700. Please note the deadline to adopt a family is Wednesday, October 30, 2019. Donated gifts must be dropped off at Temple Israel by Monday, December 2, 2019. “No Temple Family Without a Chanukah” is sponsored by The Barbara & Lawrence Millman Family Chanukah Fund and The Jackie Unatin Memorial Chanukah Fund. 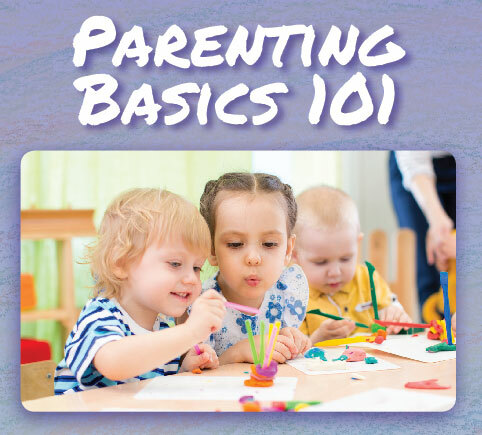 Topics May Include...Sleep Concerns, Transitions, New Siblings, Eating Issues, Tantrums, What Gadgets Are Best?, From Breast to Bottle, Parenting Styles, Self Soothing & Thumb Sucking, Mom Guilt, Developmental Concerns, Intimacy Issues, Postpartum Anxiety/Depression. Join facilitator and Temple Israel member Melissa Mayerson and Rabbi Jennifer Kaluzny at this special support group for parents who have experienced miscarriage, stillbirth or infant loss. All religious faiths are welcome. We are trans ally and support our LGBTQ youth and families. For more information or support, please email Kari K. Provizer, LMSW, ACSW, at or call 248-661-5700. Understanding and practicing the “5 Love Languages”. The three stages of marriage. Using Jewish ritual to strengthen your marriage. 2019 sessions are May 7 and May 14. 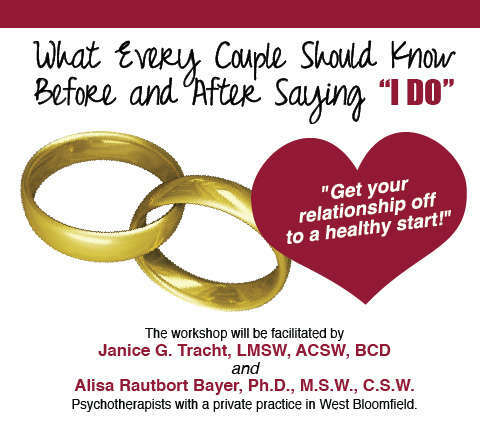 Couples need to attend both sessions.